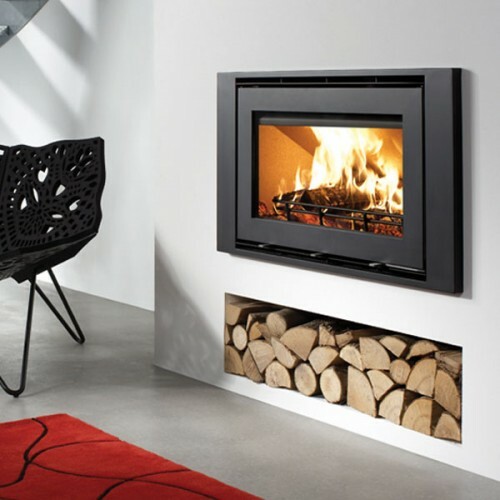 The Westfire Uniq 32 inset, a highly efficient woodburning stove with a stunning wide screen view of the fire. With its triple air supplies including pre heated secondary air wash to keep your glass clean you can be sure that this fire will give you more than just heat but a brilliant view as well. With the three frame designs on offer there is something for every interior. Also available with closed combustion. Secondary preheated air wash helps to keep your glass free of deposits and your view unimpeded. Insulated chamber keep firebox temperatures high keeping your fire efficient at all times. High efficiency means you get all the heat you need with minimum amount of fuel.